The Basel Convention is meeting this week in Geneva, Switzerland, to consider a number of proposals that could restrict the trade of scrap commodities. The Institute of Scrap Recycling Industries (ISRI; Washington, DC) released background information on these proposals. In March, at the direction of the Basel Convention of Parties, an expert working group began to review the legally binding annex of the convention that pertains to what are considered hazardous materials as well as the annex that determines what are “disposal and recycling operations,” said ISRI. 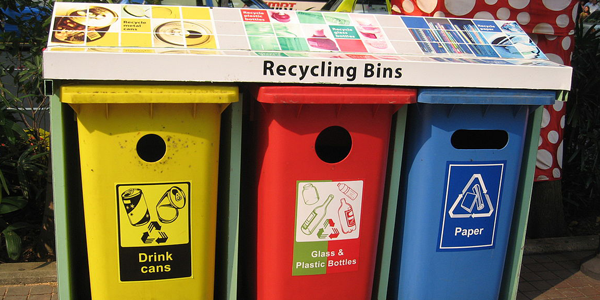 The European Commission has proposed to redefine certain recycling processes as “treatment” rather than recycling. In June, the government of Norway submitted a proposal to the Basel Convention secretariat that plastic waste and scrap be moved from Annex IX [wastes not covered in the convention] to Annex II [Categories of Wastes Requiring Special Consideration or “other wastes”], thereby placing plastic waste and scrap within the scope of the Basel Convention. Norway’s intent is to use the Basel Convention to address the marine litter crisis, said ISRI in its release. It appears that what I’ve said all along about where the debate over plastic and end-of-life issues would end up is happening. Those groups and individuals who are seeking to rid the world of plastic altogether are not content with recycling plastics. While I believe that the energy consumed and cost involved in recycling most plastics make it a less-attractive alternative than waste-to-energy (WTE) methods for dealing with waste and scrap, an official classification of plastic as “hazardous” waste needing to be dealt with via “mechanical treatment,” and not recycling, would be bad for the multi-billion-dollar recycling industry. In fact, ISRI noted in its release that if these proposals are adopted, “they could reshape our industry and how we trade scrap commodities.” The European definition would consider processes such as dismantling, sorting, crushing, compacting, pelletizing, shredding, blending and mixing as “mechanical treatment,” and, thus, not as recycling. IRSI points out that recycling is a huge, economically viable business that supports more than a half-million direct and indirect jobs, contributing $117 billion to the U.S. economy. More than 130 million metric tons of recyclables are processed in the U.S. each year, and with manufacturers only able to consume two-thirds of that amount, the remaining nearly 40 million metric tons, valued at over $17 billion, are exported. There is demand for recycled material by processors, who use it to reduce the overall cost of products in which recycled material can be mixed with virgin resin to maintain the properties and increase the value. PET appears to be the primary material in demand as rPET. However, there are times when resins have gone down in price to such an extent that recycled resins–including rPET–were priced on par with virgin resins. While ISRI states that recycled plastics require 88% less energy to produce new plastic products than non-recycled resins, it does not state whether that includes the entire collection cycle, sorting, baling and transporting the recycled material, all of which has to be taken into account. Ultimately that means that perhaps the recycling system needs to be revised to capture easily recognized plastics such as PET, HDPE, and films, while the remaining types of plastics, including bio-based materials that cannot be recycled, go to a WTE facility to capture the BTUs. ISRI is currently working through multiple channels to prevent these proposals from moving forward. At this week’s meeting, Europe’s definition of recycling operations is still under consideration and will only be reported to meeting participants in September. Norway’s plastics proposal will be officially tabled at the meeting, and Basel Convention members, with input from observers such as ISRI, will determine whether or not to pursue a more formal consideration of the proposal. While plastic materials have become a hotly contested issue, particularly with regard to marine litter caused by careless people who disregard their environment, classifying plastics as “hazardous” cannot help the situation given the relative success of recycling the most in-demand polymers. However, with a goal of eliminating plastic not only from the environment but from the world generally, labeling it a “hazardous material” is the first step toward destroying an industry. We can’t let that happen.